Pilanesberg Game Reserve is about two and half hours drive north of Johannesberg and whilst quite small compared to South Africa's National Parks has a wide variety of animals. It is well worth visiting for a day or two. 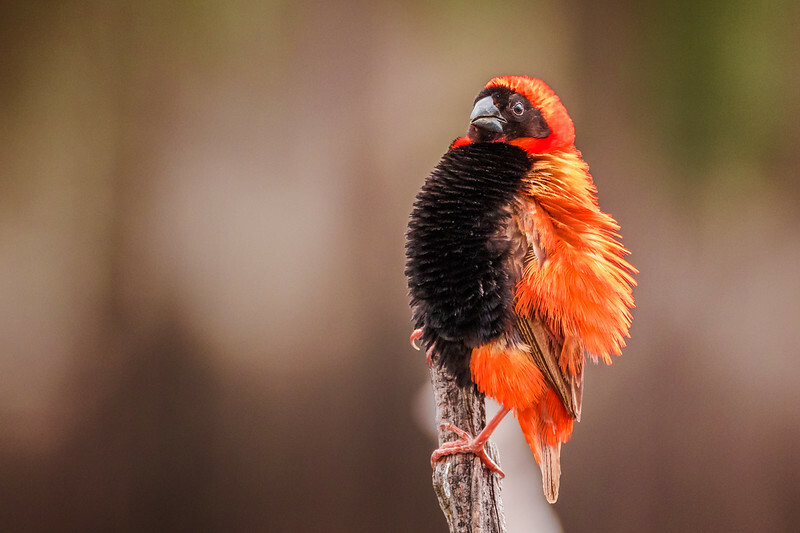 It's amazing what the Southern Red Bishop will do to attract a mate. Attractive?